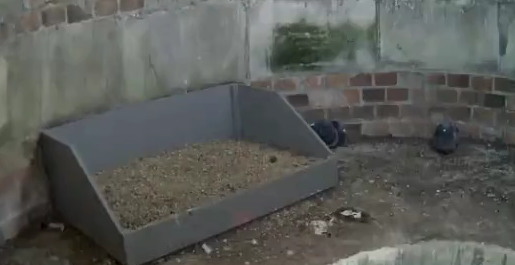 Glad those pigeons have moved on, mind you that might be why the peregrines chose the spot - nothing like ready meals. Ha ha Gaynor, good thing there are so many of them! Hugging the scrape, egg coming?? Normal track record is from 16th onwards! Can't decide if this is first egg?? Well Wendy, not being in the know about these birds, I thought in the first video that an egg was underneath the one bird perched on the side of the "nest" Now it looks as if it has smashed or been trodden on, - - or do you mean the black blob small in the box? Quick visit, still no egg, overdue by past records! 2 eggs at St Johns in Bath. 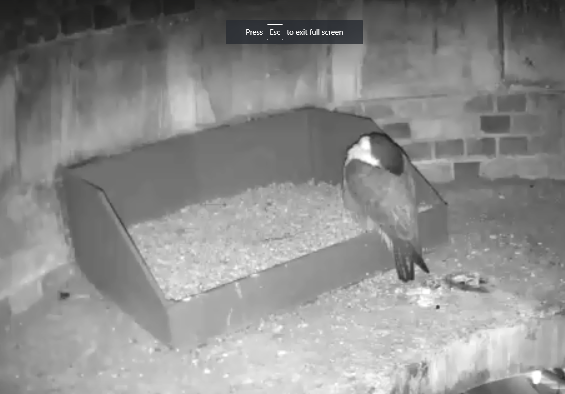 Three now at Merton but problems with YT cams, possible fourth one tomorrow! FIRST EGG @ 23.53 yesterday ... bit of grainy vid is still cooking!